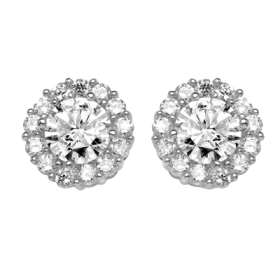 Dazzling Bridal Drop Earrings with a large pear cut CZ stone set in Sterling Silver. 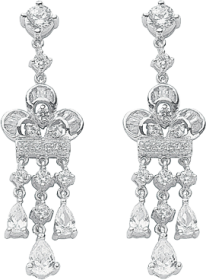 These Silver Jewelled Bridal Earrings combine elegance and sophistication which is perfect for any stunning bride. Featuring an elegant yet statement pear cut cz drop, they are perfect if you adore bold yet not shoulder skimming earrings. With such timeless class, they will certainly appeal to fans of vintage jewellery and are exquisite wedding earrings for brides embracing antique style. With an air of romantic heiress status, they look divine coordinate with a jewelled tiara or headpiece and would accentuate an empire line wedding gown with charming style. A wonderful selection of Silver Jewelled Bridal Earrings are stocked at D & K. Our sterling silver bridal jewellery is very reasonably priced making it a great bridal gift.